Are you in the market for an RV? Has the call of the open road been singing sweet to you for a number of years and you’re ready to make your adventure dreams a reality? La Mesa RV is not only in the business of getting you your ideal home on wheels, we’re also keen on making sure we cover everything you could ever need when it comes to RV living. 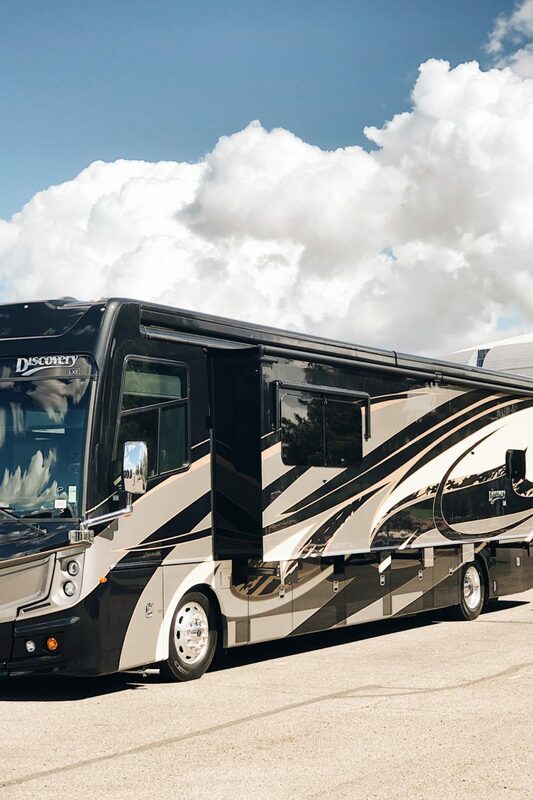 From buying used RVs to selling all class types, 5th wheels and trailers and bringing you a one-stop shop blog featuring RV living, we’re here for you. Today we’re helping you assess if the RV lifestyle is indeed, for you. We sat down with our La Mesa RV sales specialist to bring you the top nine questions to ask yourself before buying an RV. Check out the details below. Will La Mesa RV help facilitate financing my RV? Absolutely. Buying a RV often times is more simple than buying a home. La Mesa RV has a host of lenders in four different states. Whether it be a well-known bank or local credit union, our specialists will help you find the best solution that fits your situation and lifestyle. Our military customers often use USAA for a quick credit approval process. Which RV class best fits my lifestyle? Are you suited for a luxury home on wheels or drawn to a compact RV that can get you in and out of hard-to-reach places? Will you stay at RV campgrounds or opt to boondock? 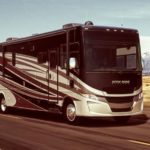 These are great questions to ponder while you read or post Which RV is Right for You, which will help you decided if your a Class A, B or C RVer. Do I want a new or used RV? We’re diving head first into this question next week but for now, be thinking about new vs. used RV’s in terms of mileage, worked out kinks, general wear and tear and already added upgrades. There are pros and cons to each option, and we’re here to weigh in on those details in the coming days. Is this my second or permanent home? What features do I need in my RV? If your RV is your permanent home, you might want to opt for a Class A rig that has a dishwasher, additional sleeper space, full bathroom, kitchen, vehicle towing capability and even a washer and dryer. If this is your adventure mobile that you’ll be using for specific road trips or as a weekend warrior, a compact Class B or C is an excellent choice. Do I have the ability to fix, replace and work on my RV if needed? If you are handy, RVing is a great lifestyle for you. Your RV is basically a house that just so happens to drive down bumpy, winding and long roads for hundreds of miles, year after year. With that comes the potential for things to break, need fixing, replacing, etc. Adaptability is key to a successful RV life. You don’t need to be a mechanic to own an RV, just an eager and problem solving person who is willing and able to put in the time and energy to tighten bolts, change tires and trouble shoot little problems that might arise with your RV. Am I prepared to learn? Arguably, even more important than being handy is having an eagerness to learn. This willingness to gain knowledge is important across the board – from understanding the ins and out of your RV to learning about upgrades, new technology, and taking advice from fellow RVers, the RV lifestyle is deeply based in community. It’s important to expand your mind on how to live when you get an RV. The road is now your backyard and with that comes understanding the rules of the road, National Parks, BLM land, work camping, alternative green energy, living on the road with your pet and so much more. Do I like the outdoors, new people and places? Kind of a no brainer right? But you might be surprised to learn that you’ll be outside more than you might expect. If you love nature, the outdoors, people, the elements, seasons and new places, an RV is definitely the number one way to enjoy all of those things. If creature comforts are more up your ally, you can still be an RVer! Our luxury Class A motorhomes are ideal for those who want the comforts of home while enjoying all that nature has to offer. Can I afford additional costs incurred? This is a big one. When you take on the RV lifestyle, the expenses don’t stop after you buy your RV. Make sure you have additional savings or funds to pay for costs like fuel, RV camping fees, day passes to State and National Parks, RV insurance, RV upgrades and RV memberships as well as RV servicing. Want to become a RV expert before you hit the road? Subscribe to our blog for RV education, news, tips and so much more. Here’s your next read: Everything to Know Before Booking A Service Appointment. 2019 RV Clubs and Memberships – Which Should You Join? Hey Buddy!, I found this information for you: "You Should Ask Yourself These 9 Questions Before Purchasing A RV". 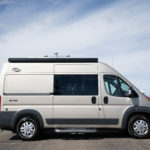 Here is the website link: https://experiencelife.lamesarv.com/2019/03/you-should-ask-yourself-these-9-questions-before-purchasing-a-rv/. Thank you.